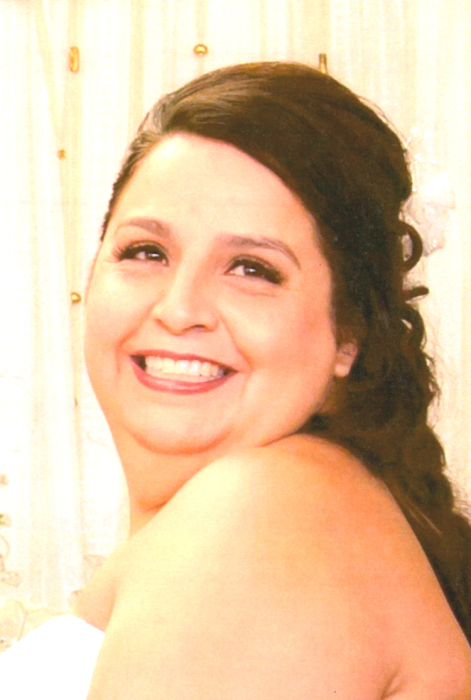 Melissa Rene Harmeson, age 42, beloved wife, mother, daughter, and sister, was called by our Lord to her heavenly home, Monday, April 8, 2019. She was a lifelong resident of Albuquerque, NM, where she graduated from Valley High School in 1994, where she was four year cheerleader and lettered three years. Melissa worked for the City of Albuquerque from 1995 to 2004. Melissa loved spending time with the love of her life Tim and her children; being on facebook with her friends and family, and talking on the phone. Melissa is survived by her loving husband of five years, Timothy J. Harmeson, Jr.; her children, Andreana, Alyana, and Andrew Muriel; her unborn grandson (Andreana's son) Aziaah Padilla; her loving parents Pete and Mary Lou Leyva; mother-in-law, Gloria Viramontes; and father-in-law, Timothy Harmeson, Sr. and wife Brenda. Also surviving are her siblings, Tim Leyva and wife Margaret Ann, Lisa Biller and husband Tony, and Kimberly Leyva; brother-in-law, Jonathon Zamora and wife Jackie; sisters-in-law, Christina Zamora and spouse Cathy, Crystal Carrasco McQuitty and spouse Amy; nephews, Sebastian Zamora, Fernando Zamora, Dhiego Zamora, Nicholas Lewis, Marcus Martinez, Joseph Leyva, Matthew McCormick and Roman Valentine; nieces, Sophia Zamora, Ella Carrasco, Brittney Kestler, Lydia Gonzalez, Martha Leyva, and Alainia Lewis. Melissa will be greatly missed by her loving family and by those whose lives she touched. A Rosary will be recited Tuesday, April 16, 2019 at 7:00 p.m. at Our Lady of Guadalupe Catholic Church, 1860 Griegos Rd., NW, Albuquerque, NM. Mass of Christian Burial will be celebrated Wednesday, April 17, 2019 at 9:00 a.m. Inurnment will follow at Mt. Calvary Cemetery. Honorary Urn Bearers will be Antonio "Toner" Abeyta, Joseph Leyva, Marcus Martinez, Jimmy Molina, Diego Miera, Jonathan Zamora, Louie Padilla, and Ben Herrera.